Ben Gwin’s complex debut novel is based around a fictional reality television sensation, Clean Time, that has catapulted various interested parties—from pharmaceutical corporations to rehab centers—to unimaginable wealth. 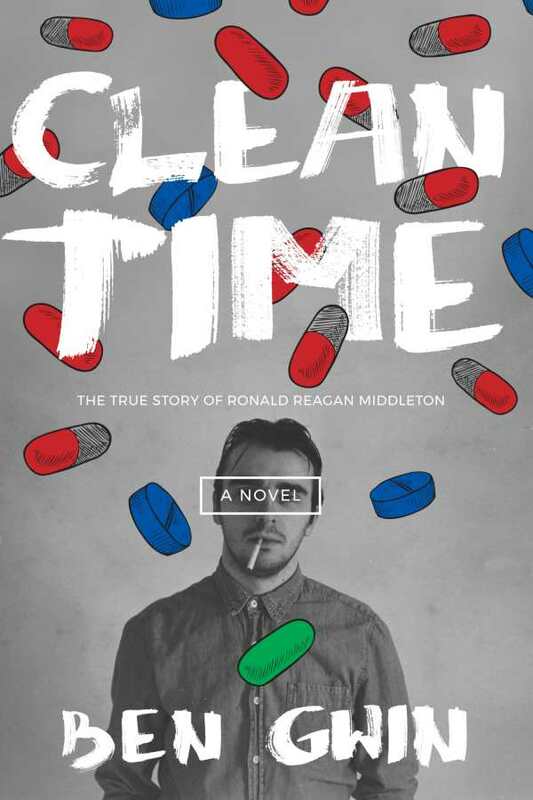 For a handful of addicts, time spent on Clean Time has resulted in exceptional fame, but none more so than Ronald Reagan Middleton. But now he’s missing. Gwin’s novel is set up as a record of two men’s search for the man behind the man Middleton has become. Provocative and barbed, Clean Time uses hybrid structures to deconstruct reality entertainment and drug culture, both legal and illegal. From Middleton’s writing, critical academic research, and media footage, a picture emerges of a man who’s both a cipher and the culture’s pinnacle creation. There’s further play in the novel’s objectivity and distance toward its subject. Insights into Middleton’s origins and motivations are largely obscured, and his ability to tell his own story is variously limited, threatened, and undermined. As his story is constructed and reconstructed, any sympathy is modulated by an equivalent suspicion. The underlying sense of emotional manipulation comes to fruition in the novel’s final revelation where even Middleton’s slight redemption seems dubiously placed. Nonetheless, the novel’s foundations are inseparable from the reality media it critiques, and straddling that tension causes some strain. In its send-up of “reality” entertainment, the novel also appropriates a certain grittiness. It too benefits from trafficking in the fictionalized “real” experiences of addiction, drug crime, and upper-class dysfunction, even as it interrogates these tensions by telling Middleton’s story. A deeply flawed hero who’s strung up and strung out, Middleton experiences a destructive spiral that puts him at the center of an unwelcome reality media blitzkrieg. Clean Time attempts to understand the making of these cultural devils and heroes in one person: Ronald Reagan Middleton, a modern Ulysses lost down the rabbit hole of American cultural privilege.